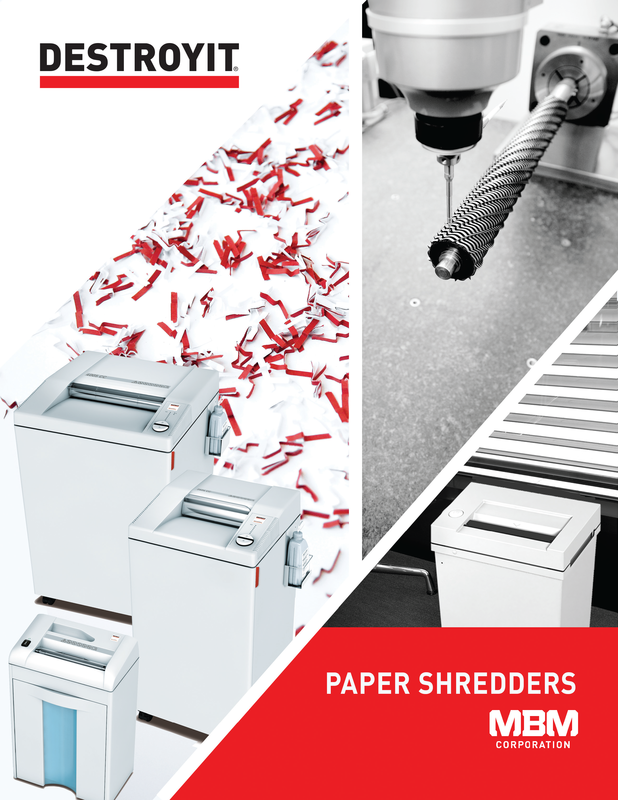 Look to the leader in paper shredders — Destroyit! Manufactured in Germany by MBM Corporations parent company, IDEAL Krug & Priester, Destroyit paper shredders have set the industry standards for over half a century. Models are available in 5 of the 6 security levels defined under the DIN 66399 international standard. Cutting shafts are constructed entirely of hardened steel and are covered by a lifetime warranty (super micro-cut shafts are covered for one year). In addition to their innovative, functional design the exclusive SPS safety features put them among the safest paper shredders in the world. A quality management system including all company areas was certified under the DIN EN ISO 9001:2008 standards. All Destroyit paper shredders meet the latest standards of Underwriters Laboratories for the US and Canada.